Pilot Programming - Art is everything. We went out in our community and conducted a series of art therapy pilot programs to learn of community needs. The programs consisted of a variety of groups and workshops provided for individuals of all backgrounds, races, ethnicities, socioeconomic statuses, ages, gender, believes, etc. We gathered a great deal of information and discovered that there was an incredible need for art therapy programming across the board; regardless of population, everyone benefited. There is no other organization doing the work that we are doing in our community, statewide or even nationwide. We are the first. The Light of The Heart is truly an innovative and pioneering project and we are so excited to begin in Aurora, an incredibly rich and diverse city. 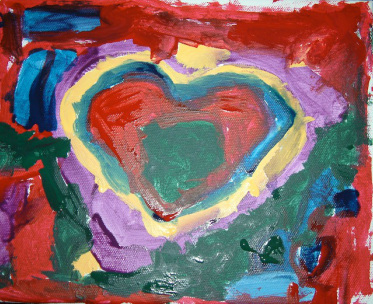 It is our goal to bring art therapy to all those in need within our community. Please see participant responses to pilot programming below. I connected with grief that I didn’t even know I was holding onto. A very good way to release stress and to become introspective.~ I love it. It's a great way to access thoughts, feelings and emotions that are deep down inside. It helped me become closer to my family and manage my anxiety. It was the only thing that worked. It is so cool that making art can open my eyes to my life.